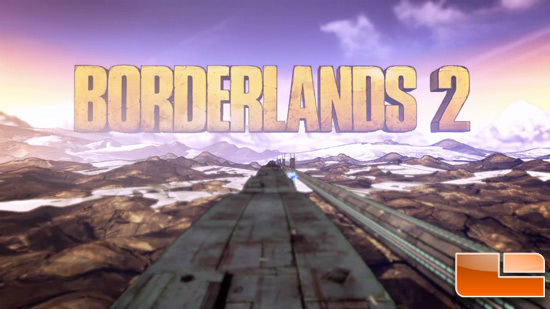 Borderlands 2 runs on a heavily modified version of Epic Games’ Unreal Engine 3. 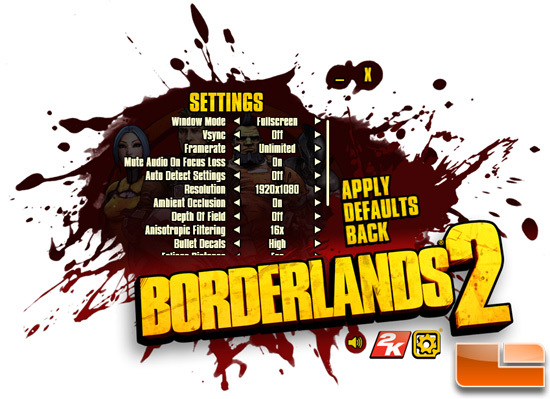 We tested Borderlands 2 with vSync and depth of field disabled. We increased the general image quality settings and turned on 16x AF. 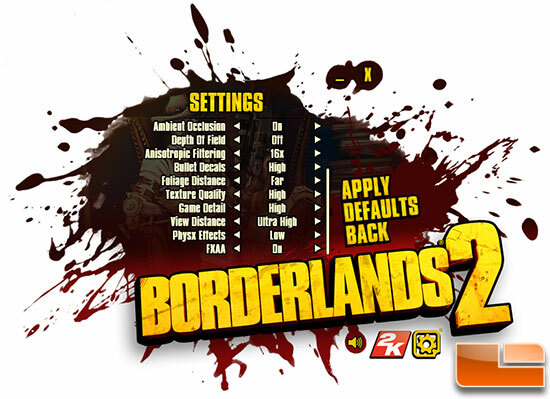 PhysX effects were set to low to keep things fair as possible between AMD and NVIDIA cards. FXAA was enabled. 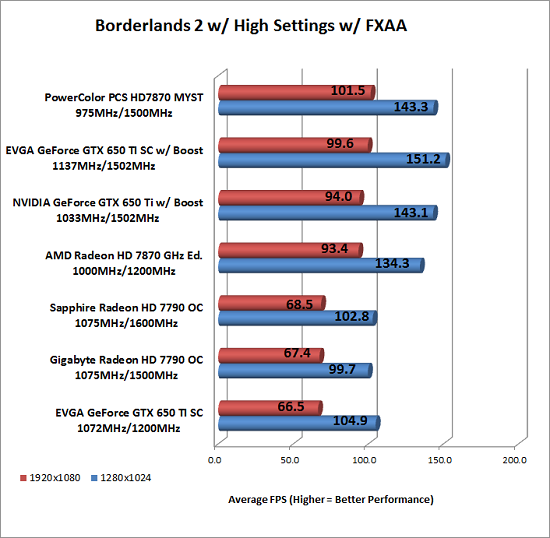 Benchmark Results: The EVGA GeForce GTX 650 Ti Boost SC was faster than an AMD Radeon HD 7870 GHz edition graphics cards in Borderlands 2 and it smoked the Sapphire HD 7790 Dual-X OC video card by 45.5%. The EVGA GeForce GTX 650 Ti BOOST SC was also 49.8% faster than the EVGA GeForce GTX 650 Ti SSC video card, which is impressive.